As with most aspects of modern life, renting a house or a flat usually involves some form of a credit check. Renting a property is one of the more serious financial investments you will make, and it involves a degree of faith from the landlord to accept you as a tenant. For these reasons alone it makes sense to perform a background check. The trouble is, the rating system is far from straightforward. Because there isn’t a universal scoring system this leads to confusion as to what the minimum credit score for renting in the UK actually is. A similar issue is looking at credit reports for mortgages if you are thinking of buying rather than renting. The truth is there are three main credit reporting agencies that lenders use to get historical financial information from and each one has its own unique scoring system. These agencies are Equifax, Experian and CallCredit. These three separate scores are all as equally important as the other because there is no pattern as to which ones the lender will use to obtain your financial information. In the end, it is ultimately up to the landlord to decide whether or not they accept you as a tenant. A check can be performed but the results are in no way legally binding. You may have a poor or bad credit score and the landlord could still accept you. Here’s a scenario that a lot of people find themselves in; I want to rent a house but have bad credit. Where do you go from here? Landlords have to perform a financial background check before agreeing to take you on as a tenant but they need your permission to do so first. You are well within your rights to refuse the check but this could damage your chances before they have even started if it looks like you have something to hide. Find out more about what a credit score is if you are unsure about having an assessment done. You could always be honest with your landlord. Tell them your history is bad and that you fully expect the search to fail to reach the ‘minimum credit score’ for renting in the UK. This honest approach may actually help you because your landlord can see that you are not trying to hide something from them and they then see you in a much more favourable light. Just because you have bad credit it doesn’t automatically rule you out from applying for tenancy. If you want to give yourself the best opportunity to succeed, request copies of your report from each of the big reporting agencies. These are available for free once a year by law and only cost a couple of pounds after that. Once you have them, scour them with a fine tooth comb for any discrepancies and if there are any get them removed as soon as possible. Removal of misinformation can have a massively positive effect on your score and improve your chances of scoring higher on the credit check. Will I pass a Credit Check for Renting? A major concern for a lot of people when applying for tenancy is Will I pass a credit check for renting? This all depends on your credit report and what the landlord deems as a pass. The results are based on how you have conducted your finances, both in the present day and in the past. If you have missed payments or have had to enter a financial restructuring program such as bankruptcy or an IVA then these will bring your score down. Conversely, if you’ve managed your payments effectively then this will have a positive effect on your score. See our review of the Check My File site if you would like to start checking yourself. Your score is a reflection of how financially trustworthy you would appear to be. At the end of the day it is your landlord’s decision as to whether they take you on as a tenant or not. There is no legal minimum credit score for renting in the UK, and a landlord will use the results of a background check purely as a guideline. The truth is that a lot of people are struggling with debt these days and bad credit ratings are all too common. The official report may say that your finance history is bad but that does not necessarily mean that you will be turned down for tenancy. When renting a property, what is the Credit Check? Okay, so we’ve established that there’s no getting around the credit check, the question then becomes when renting a property, what is the procedure? This is not as invasive as you would first expect it to be. The personal details checks are purely to confirm that the identity details you have given the landlord or estate agents are correct. The remaining information that they can gather all comes from public records. If you have had a serious financial lapse and needed to go bankrupt or you have CCJs, then part of the restructuring program is having your details logged onto a public register. This is the extent to which the landlords’ credit check can go. It will not reveal your actual score, account numbers or how much you are in debt by. There are plenty of ways to improve your credit score if you are having difficulty and have struggled with debt in the past. These can help make it easier to get loans, mortgages and even cars. Do Landlords do a Credit Check? A frequently asked question when applying for tenancy is, Do Landlords do a credit check? The short answer is yes, they do. What’s important to remember is that this is not like applying for a loan; there is no 50/50 chance that you will or won’t be accepted. This is because the landlord is not bound to accept you if you pass, just as they are not bound to accept you if your score isn’t particularly high. The assessment still has to be done but it is at their discretion whether they accept you as a tenant or not. Do all Letting Agents do a Credit Check? Another common question is ‘Do all letting agents do a credit check?’ Firstly, if they do then they need your permission to perform it. Secondly, if they do want to check your history then it’s only to see if you can afford your rent – they are not interested in the full ins and outs of your finances. They can only use information that is stored on public registers, so they will check the Electoral Roll to confirm you are who you say you are, but after that any financial information they get is also from the public sector. If you have never had CCJs or bankruptcy and the like then there will be no information for them to see and your credit report should be favourable. You can have a look at your own rating by using a service such as My Credit Monitor or many other alternatives online. Can Letting Agents see Defaults? A common concern is ‘Can letting agents see defaults?’ The only defaults they will be able to see are major ones that have resulted in a financial restructuring. This will include things such as bankruptcy, CCJs, administration orders and IVAs. If you paid your mobile phone bill late a couple of times then don’t worry, this will not appear on the report that the letting agents and the landlord sees. How long does it take to do a Credit Check for Renting? If you have to have a credit report done then there’s nothing worse than wondering if you are going to pass it or not. Whether it’s for a personal loan or a tenancy agreement, the wait can seem interminable. So, how long does it take for a credit check for renting to come back? As a general rule of thumb, it can take between two and ten days for a renting credit report to come back but shouldn’t take any longer than that. If you want to find out more about the process, see our Scores Matter review for a look at one of the top services online. Knowing what an acceptable credit score for renting a property in the UK is can be a confusing affair. There are three main reporting companies that financial institutions use to determine credit suitability, but the problem is that they all have their own scales. For this reason, you don’t have just one credit score, you actually have three. The table below illustrates how they use their own ratings and what they actually mean for you in terms of a good or bad score. 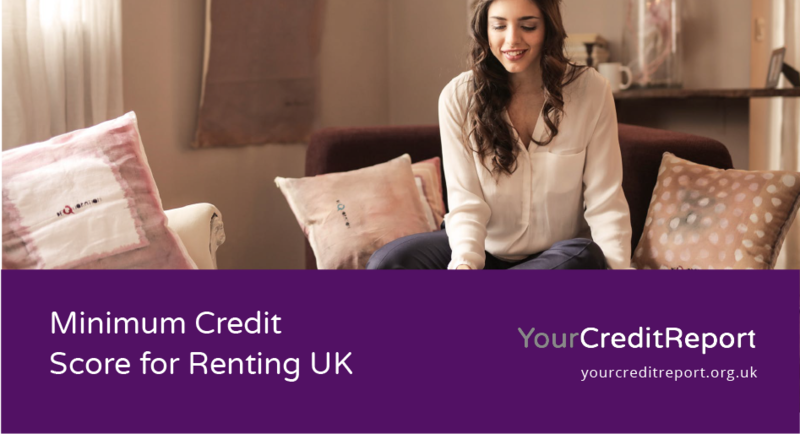 If you’ve failed a credit check for renting then what should your next step be? Just because you have failed the perceived minimum credit score for renting in the UK that does not mean that your landlord will not be open to having you as a tenant. You should speak to them and see whether the failed check is an issue for them. If it turns out that the rating is a potential sore point the landlord can also do something known as tenant referencing. This is basically a character reference from someone you know attesting to the fact that you are capable of paying your rent on time. This is usually from your employer or from someone who has known you a long time in a position of responsibility such as a teacher or doctor. You could also get a guarantor who would act as an insurance policy for the landlord. If you cannot make your monthly rent payments then the guarantor promises to make them for you. A failed credit report does not mean the end of the road for you as a tenant. Explore all the possible avenues available to you and renting a place of your own will be available to you.